More and more people are beginning to be interested in meditation. Many of you already know that this practice promises just magical results if you practice it on a regular basis, but knowing and believing is another matter. While you are not trying to do something, you will never know what it really is. The same can be said about meditation. People are divided into two groups: the first group is those who absolutely do not believe in such practices and trust only machines that, by the way, were created by people; the second group believes in meditation, since they have either practiced it for a long time, or just started practicing and are satisfied with the results. Those who do not believe in meditation and consider it a bad practice are trying to prove the side effects of meditation and how they negatively affect a person. For example, a couple of years ago, a teacher of meditation was invited to a certain place (we will not name the place and the person) where the experiments were conducted on yogis and yoga. The experiment lasted about fifteen to twenty minutes, after which the meditator was told that the machine showed that he is dead. They said, “Either you are dead or your brain is dead.” But the person was alive, and his brain was in perfect order. Something very strange is going on, isn't it? Okay, let's unpack this a bit. The information you receive and process through the five sense organs generally goes to the left brain. And the information that is perceived through the rest of the body, which is not logical, which is not piecemeal, which is more homogeneous information that is most essential for your life, is processed in your right brain which is not logical. You may not be conscious of it but you are always using this information. If there is an active coherence between the left brain and right brain, you cannot access this information consciously. As you can see, meditation helps sort the information in your brain, and if you give yourself to the practice sufficiently, then your mental and physical abilities will be super-magnified. If you do not believe us, then many medical studies will confirm the fact that meditation does miraculous things to you. 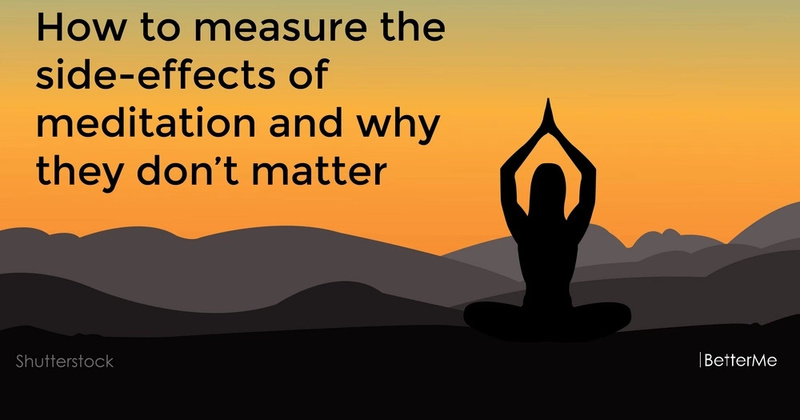 The fact is that all the benefits of meditation like physical health, mental capabilities, being able to handle life with ease are just side-effects. That's why they do not mean any harm. The more you delve into meditation, the more “side-effects” you will discover, and you will really love them.